In case you’re stuck in the traffic on the M42. Found a new Android Game to entertain myself now. 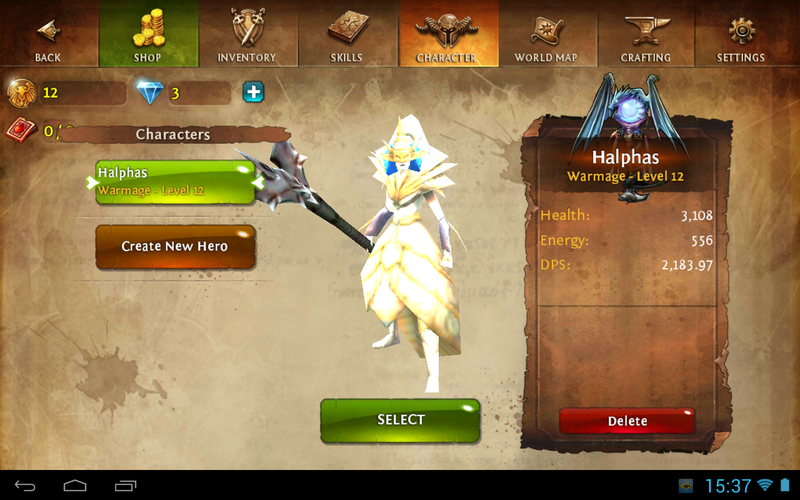 Dungeon Hunter 4. It’s a Dungeon Crawler and has some nice graphics. A bit hungry on the CPU so has a tendency to jump on older hardware, but has a decent storyline (so far), and there’s VOICES, and as an additional bonus, I’m not hearing many American accents. I picked a Warmage as my character as I have thing for mages, and even though the game is freemium, I haven’t had the need to really spend much money on it, and there’s not many features that demand you to buy in-app purchases to continue. The only one that does is the Wheel of Fate which is a gambling game, anyway. Plus you can play the lowest rung (Bronze level) for free once a day. I’m L13 at the moment, enjoying it, even if I do die on a couple of higher-level dungeons.